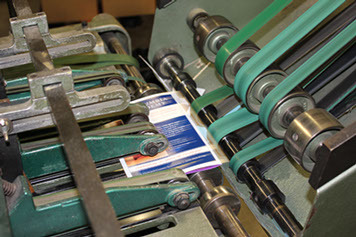 Saddle stitching, wire binding, and perfect binding (including regular and Pur gluing) are all finishing services provided by Roebuck Printing. We also offer specialty services such as insert glue tipping, product shrink-wrapping and product warehousing for later distribution. However your printed product needs to be distributed, we can help you handle it.